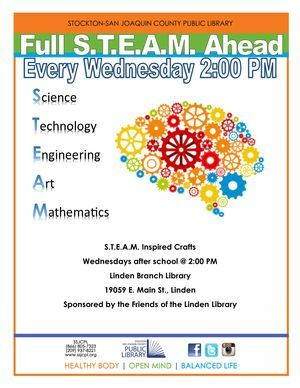 Come to the Linden Branch Library for a S.T.E.A.M. (Science, Technology, Engineering, Art, Mathematic) themed craft. Sponsored by Friends of the Linden Library.